Join Jake the Snake in his kitchen to find out how he bakes a big chocolate cake! 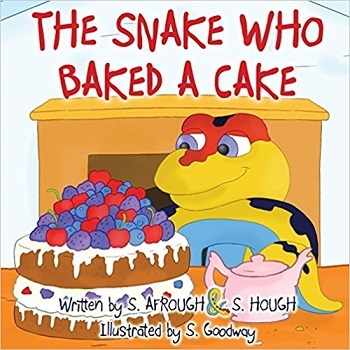 The Snake who Baked a Cake is the first in a series of illustrated children’s stories by sister writing team Sarah and Simin. This is a children’s story about a snake named Jake. Join him as he goes about making and baking a delicious big cake for himself. The illustrations are vibrant and capture the attention. The text is simple which makes for easy reading. The story is set out as a rhyme. It rhymed in most places but there are sections which don’t, which I found a little odd. The words were set out waved across the pages, like a snake slithering, which is clever imagery. The story and illustrations promote good kitchen safety and practice. Jake uses an apron and hat for hygiene, wears oven gloves to protect hands (or tail in his case!) and flares the oven up “with caution and care.” It also teaches basic ingredients for cake baking. I liked the addition of chocolate! A clever inclusion was the use and image of scales, showing that you need to weigh the ingredients. I was always the child who wanted to pop all the ingredients in a bowl at once, stir, bake, and hope for the best. (It never worked out!) Jake measures out the ingredients, showing the correct way to make a cake. The book moves away from the stereotypical snake in many images. They usually have yellow eyes (Jake’s are blue) and pointy fangs (Jake has rounded teeth.) Jake also looks friendly. Snakes can often symbolise evil. It was nice to come across a snake with no other motive than to bake and eat a delicious cake. The story is aimed at children between the ages of two and five. My three year old daughter loves books. She enjoyed this book for its rhyme and illustrations as well as the actual story. It’s simple enough for a young child to read along with and understand what is happening in the illustrations. The story is short in length and keeps the attention up but I felt there was something missing at the end. Based in London Sara Afrough is an academic with a PHD from Oxford University in Biological Sciences. Her sister Sim Hough lives in Liverpool with her husband and children and is currently qualifying to become a commercial property lawyer. I don’t think I’ve ever seen a snake portrayed as friendly, but then again I don’t know if I want my kids to think they are approachable. Thanks Kelli, I suppose being in the UK not something I have to think about. As a teacher I’m always looking for new children’s books. Thanks for the review. My husband has a running joke with our daughters about Jake the Snake. I think I’ll get this for them as a Christmas present. Thanks for sharing it. Hm, my kids are just a smidgen older than the target age range, but I may have to look into this book for them anyway. Great, it’s a lovely book. 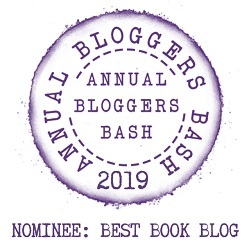 be still my heart I want to read this book! I am more than likely going to buy. Thanks for the review. A friendly snake is new to me! As a mother to a toddler, I’m going to have to keep this one in mind for our next bookstore trip!